Pending the November Nine event which will be held from November 10 to 11 in the sumptuous poker room Rio, Las Vegas, we can say that the 45th Annual World Series of Poker (WSOP) has been a great success. 82,360 players travelled to Las Vegas to participate in the 7 week-long competition, generating a record prizepool of $ 225,584,873. Back in 2012, the prizepool was $ 222 million. 107 countries were represented at this world championship of poker. Actually, the WSOP 2014 is nicely adorned with the flow of poker enthusiasts from various countries where the game of poker is not popular: Kazakhstan, Bangladesh, Barbados, Puerto Rico, Cuba, Honduras, Dominican Republic, Gabon, Senegal and Azerbaijan. North America dominated the competition both in terms of participation and wins. The United States secure Number One on the list with $ 116,756,342 of earnings, followed by Canada ($ 13,054,564), Germany ($ 10,316,785) and the United Kingdom with its $ 6,084,596. France completes the Top 5 with its $ 4,244,297 of win. $ 117 million were distributed to winners of the tournaments. For his part, the American poker player Daniel Colman collected $ 15.3 million for his first place in the Big One for One Drop. In terms of WSOP bracelet, the United States won 50 whereas Germany garnered 4 and 2 bracelets for France. Israel, Belgium, Italy, United Kingdom, Ukraine, Russia and Belarus won a (1) bracelet each. Canada and its second time runner-up Daniel Negreanu consoled themselves with 465 paid places. 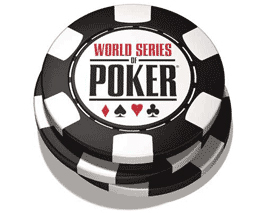 In short, the 2014 WSOP has been a success because the participation rate increased by 3.6% compared to 2013 with 79,471 entrants. This page has been viewed 508 times.